A Payment Ring is an analogy of contactless cards, integrated into the payment system of the bank and allowing to conduct payments similar to a bank card. To make a payment, it is enough to bring the ring to the payment terminal and the necessary amount will be deducted. It is also possible to pay online: each payment ring has an assigned number, validity period, and CVV code. The rings are durable and waterproof. A Multi-Digital Card is a full-grade replacement for ordinary plastic cards. They allow you to connect several cards at once: debit, credit, discount, gift cards or even cards to a fitness club, etc. In other words, they can connect to any card that has a BARcode or built-in EMV chip. As Multi-Digital Cards are the same size as traditional cards it is possible to use them for cash withdrawals. The financial model that we’ve developed will ensure cost-efficiency of our project as early as by 2020. 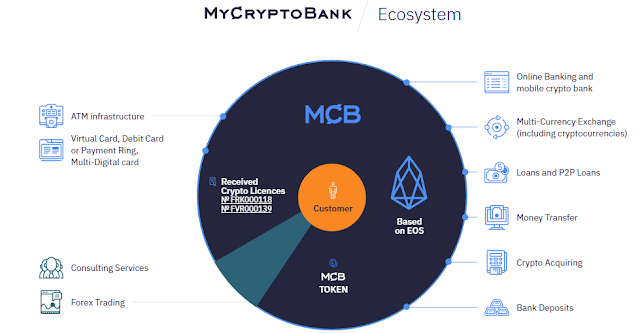 Once launched, MyCryptoBank ecosystem is easily scalable and supports servicing of millions of customers across the globe. During the preliminary stage our team has already scheduled a number of steps required to run a successful cryptobank, and our success is on the way. MCB token is a Utility token, and that’s why it provides no profit distribution between its owners. 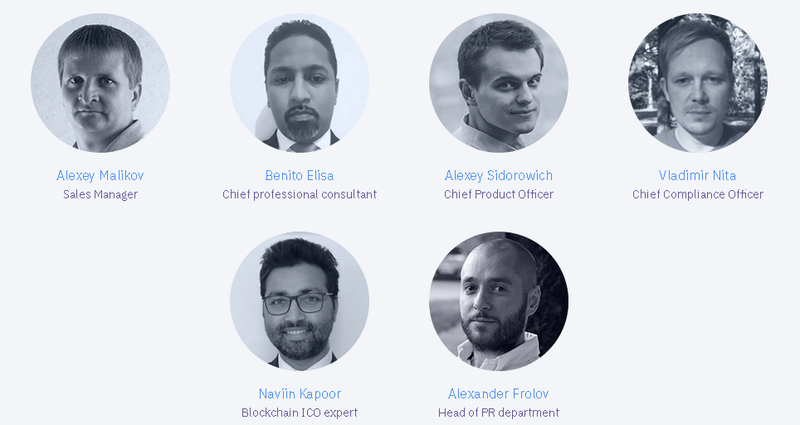 However, this is the key benefit of the tokens from the point of view of the investors. Money gained from profit and saved within the MyCryptoBank ecosystem will fuel further development of our business. MCB tokens emission is limited, however demand for the tokens will continue to grow along with increasing number of MyCryptoBank customers. Growing demand along with limited supply will as a natural result increase the price of MCB token, which in its turn will addup to ROI. The MCB ecosystem is at the stage of development and can undergo significant changes and amendments of technical operation until its end-to-end-solution. It is important that efficiency of the MyCryptoBank ecosystem development depend largely on the number of the MCB tokens, sold during the crowd sale. Subject to crowd sale collapses, it can possibly result in a lack of the resource base for complete ecosystem development. Cryptographic MCB tokens are new, not having been tested through technology. Additional to risks, related to factors, listed above, there are some risks, related to purchase, ownership and use of MCB tokens. Such risks can present different variations or combinations of risks, stipulated above. MyCryptoBank may change, amend, delete or add to this White Paper or any of the terms and conditions contained in any policies or rules governing the Website and/or the Services at any time and in its sole discretion without notice. Any such changes will be effective upon the posting of the revised White Paper or such policies and rules on the Website and you are solely responsible for reviewing any such notice and the corresponding changes to the White Paper. Your continued use of the Website and/or the Services following any such revisions to the White Paper or such policies and rules will constitute your acceptance of such changes. If you do not agreeto any such changes, do not continue to use the Website and/or the Services.